Why it may be easier to land a job through a recruitment agency? Many people are rather baffled about how recruitment agencies work but these perceptions may not be entirely true. With close to 1,500 recruitment agencies in Singapore, they are a huge bonus for anyone looking to expand their opportunities to secure a job. I've deposited my resume with a recruitment agency but I still can't get a job. A job search process requires the candidate's expectations, skills and experience to match with what the hiring companies are looking for. Cecilia Sim, Regional Strategic Business Solutions Director of ScienTec Consulting Pte Ltd shares, "A good recruitment agency has the insights into the hiring requirements that are not listed nor obvious in job advertisements. Having an understanding of the candidates' career aspirations and motivations, the recruiter will offer useful feedback and advice, as well as provide them with invaluable information-regarding the role, remuneration, organisational culture, possible career pathways as well as the hiring manager's expectations. Coupled with the relationships built over time with hiring managers and HR, the success placement rate is usually higher, especially if the hiring company has the budget to engage a recruitment agency." I can send my application in to the company directly. Sure, you can do that. But many big corporations outsource their recruitment to an agency as that's one of the best ways to access a pool of skilled workers. In fact, some of the jobs opportunities are only exclusive to recruitment agencies as employers only hire through them. 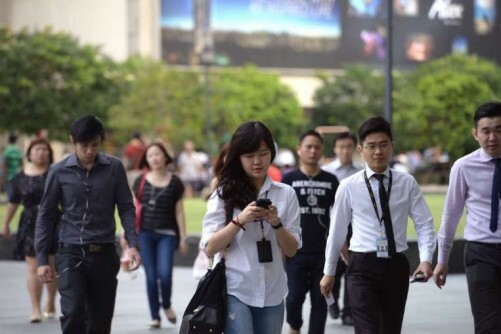 Jerry Wee, Director of Sales for TalentStork Pte Ltd said, "We do see a trend in employers being more receptive in engaging recruiters particularly in the technology and E-commerce sectors. This is driven by the fact that tech organisation prefers to focus their resources in building their business and products, hence, engaging the right recruiter will reduce their wastage on unsuccessful hires which could be detrimental for a start-up." I need to pay a commission to the recruitment agency to find a job. Contrary to belief, most recruitment agencies are paid for providing a streamlined process of screening, negotiating and confirming a candidate by the hiring company. The job seeker does not have to fork out a single cent. Yang Fanglin, Team Leader at BGC Group Pte Ltd reveals that, "On a weekly basis, more than 50 contract positions are filled at BGC. As a recruiter, we would look through your resume and match candidates with the most suitable job that fits your experience at no cost to the candidate. Chances in getting the job are increased as our clients have placed their trust in us that we would send the most suitable candidate for their consideration." Ms Yang added: "As a recruitment firm, we would also be able to check the status of the interview results soonest from our clients! With multiple positions with different clients, it would be easier for us to match you up with our clients and actually save you time as well!" I will be offered a lower salary so the recruitment agency can help their client save money. Recruitment consultants will have to balance the scale here. They are matching salaries based on candidate's experience in the particular job opening with reference to industry standards. Furthermore, the hiring company will also have a cap for the salary that they can offer to the incumbent. Everything is based on verbal communication and I do not have a chance to find out more about the job. The recruitment consultant will be up-front on the job scope so that they match the right candidate to the right job before sending them for a second round of interview with the client. If there is anything that the job seeker is unclear of, always clarify with the consultants and they will be happy to clear the air.